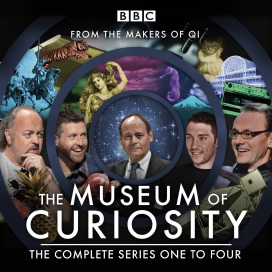 The Museum Of Curiosity is recorded in London, usually at the BBC Radio Theatre in Portland Place. Tickets are free, and when they are available you can apply via the BBC Shows And Tours website. 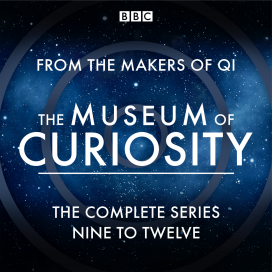 All Museum Of Curiosity ticketing matters are handled by BBC Shows And Tours, and more information, terms and conditions can be found on their website. Join Professor of Ignorance John Lloyd and curators Bill Bailey, Sean Lock, Jon Richardson and Dave Gorman as they plunge down the badger hole of ignorance in a search for the universe's most mind-boggling oddnesses. 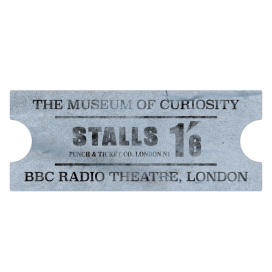 Guests include Neil Gaiman, Sarah Millican, Clive James, Kate Adie, Sir Terry Pratchett, Ronni Ancona, Jon Ronson, Bettany Hughes, Ben Elton, Alain de Botton, Charlotte Uhlenbroek, Alistair Fothergill, Ruth Padel, Jonathan Miller, Lucie Green, Marcus du Sautoy, Brian Eno, Shappi Khorsandi, John Hodgman, Chris Addison, Roger Law, Tim Minchin, Philip Pullman, Richard Wiseman, Victoria Finlay, Jimmy Carr, Graham Linehan, David Eagleman, Natalie Haynes, Brian Blessed, Alan Davies, Martha Reeves and Harry Enfield. 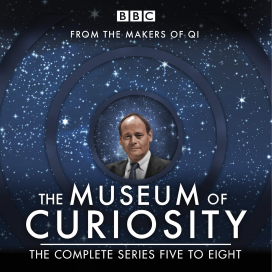 Also includes a previously unbroadcast pilot episode, The Professor of Curiosity. Running time: 12 hours approx. John Lloyd, Jimmy Carr, Humphrey Ker, Phill Jupitus and Sarah Millican are joined by guests including Al Murray, Jo Brand, Pamela Stephenson-Connolly, Frank Cottrell Boyce, Sara Pascoe, Mark Watson, Richard Ingrams, Richard Herring, Cleo Rocos, Paul Sinha, David Frost, Richard Osman, Sandi Toksvig, Rich Hall, Clive Anderson, Neil Innes, Ken Dodd, Henry Blofeld, Tim Smit, Rufus Hound, Matt Lucas, and Susan Calman. Also includes the 2015 'Coding Special' epsiode. John Lloyd, Noel Fielding, Jo Brand, Romesh Ranganathan and Sally Phillips are joined by guests including Howard Goodall, Corey Taylor, Vic Reeves, Ross Noble, George Monbiot, Lucy Porter, Deborah Frances-White, Stephen K Amos, Konnie Huq, Rory Bremner and Phil Jupitus.